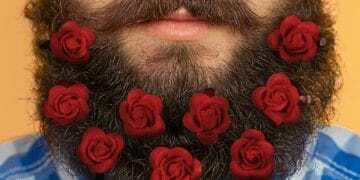 It could very well be the biggest trend to sweep the world of television since the remote control. 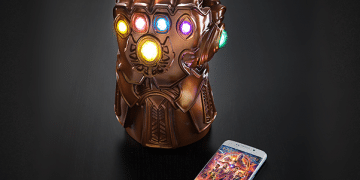 The Game of Thrones is not only a huge series that has captured the imaginations of millions of viewers, it has also inspired many products. 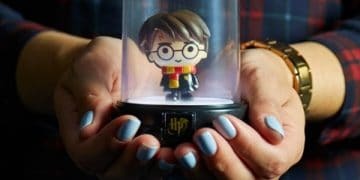 If you are a true fan of the Game of Thrones, or you know someone who is, now you have a selection of items to choose from to collect or give as gifts. There’s something for everyone—from the casual to the serious fan of the program—and we have hand selected the best of them for you! Need to know a little bit more about the world in which Game of Thrones is set? 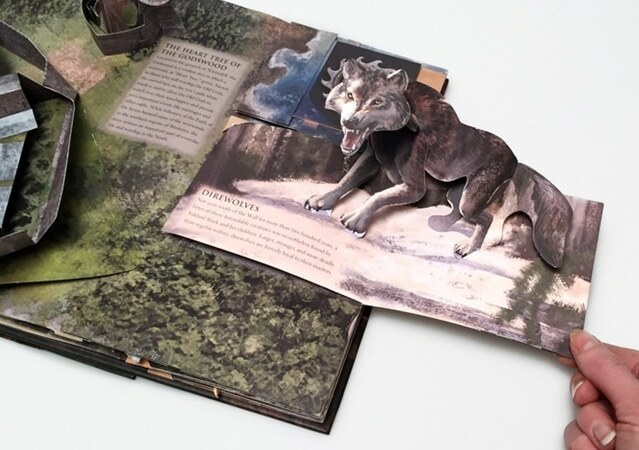 This unique and amazing Game of Thrones Pop-Up Book will tell you everything you need to know. There’s history, maps and much more in an easy to use and read pop-up format that will please all! You’ll never look at a hardboiled egg the same way again. 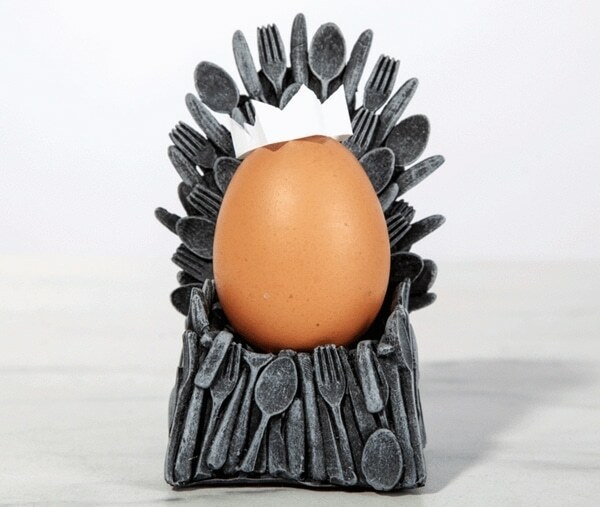 When you perch it atop this incredible miniature replica of the Iron Throne, everyone at the breakfast table will take notice. While it is not guaranteed to make you egg taste better, it will make it stand out from the rest! 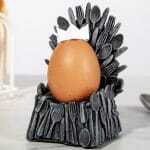 You can’t be a real Game of Thrones fan if you don’t have at least one dragon egg stashed somewhere. Now you can proudly display a collection of them if you wish. 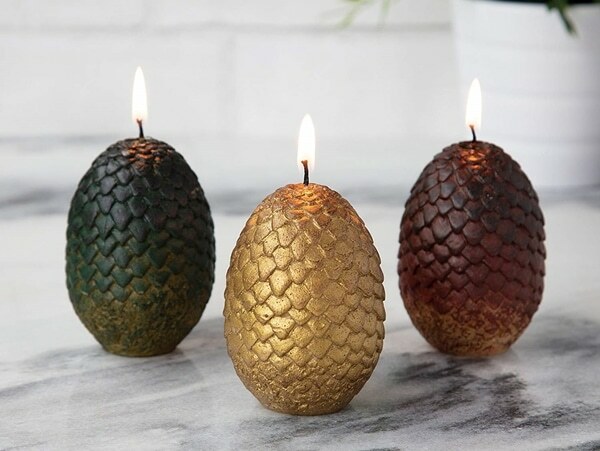 These Dragon Egg Candles burn brightly and look so much like the real thing that you could be arrested! Uh-oh! There’s something not quite right about that candle. 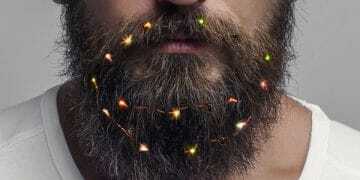 Not only did it light quickly, there’s something happening to it that doesn’t seem right. 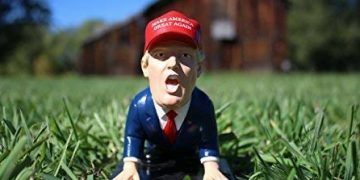 Oh, right! It’s a Hatching Dragon Candle. 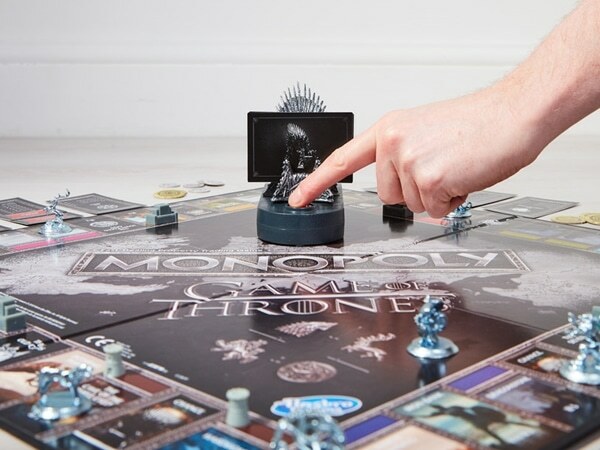 For the true Game of Thrones fan, you need one or two of these to keep things in order! Forget about buying houses and hotels as you try to build up your personal empire. 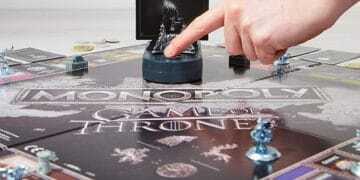 With the Game of Thrones Monopoly game you’ll have the same basic principle but with a totally new theme. 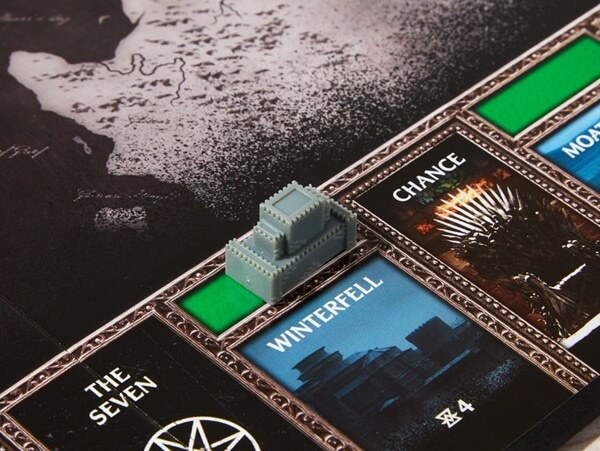 A real ‘Game of Thrones’ fan will know the place names and appreciate the other variations of play! 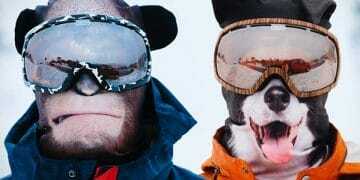 We like to call these functional and fun. 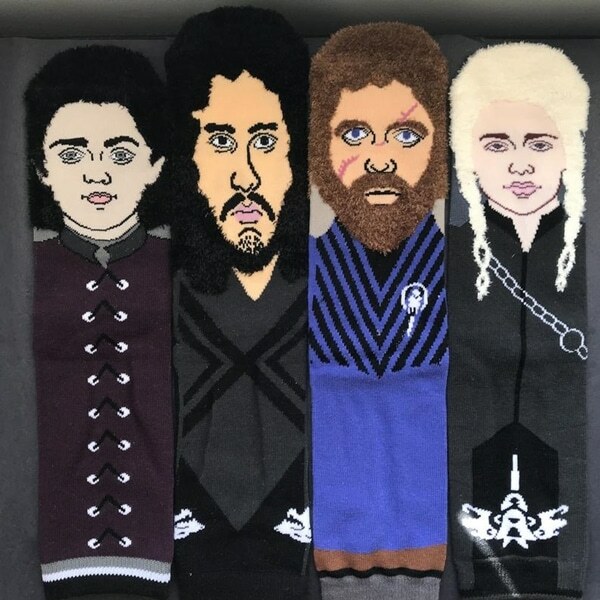 With four characters to choose from, you can keep your tootsies warm with these Game of Thrones socks. Wear your favorites to bed or while watching the program. 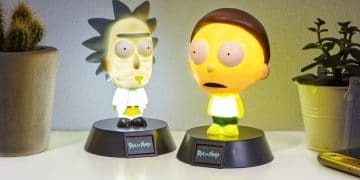 These will truly pull you into the action and make you part of the TV show!